There are a handful of big players in the social networking world. Twitter appears to be one of the sites that continues to grow in popularity. In fact, according to research complied by Brickfish, as of October 2013 there are 231.7 million active users on Twitter worldwide and 100 million of them log into Twitter daily. Currently there are 304 Million active Twitter users! So what is Twitter and why is it still growing when many of the other social sites are facing challenges? Put simply, Twitter is an online social networking and microblogging service that lets you send and read “tweets”. Tweets are text messages limited to 140 characters. However, within the context of any tweet you can embed links which makes it a powerful marketing tool for anyone with a blog or a website. Being able to link to other URLs means you can share value and information. You can share links from your own site as well as promote your fellow business owners to build relationships with customers, prospects, and associates. 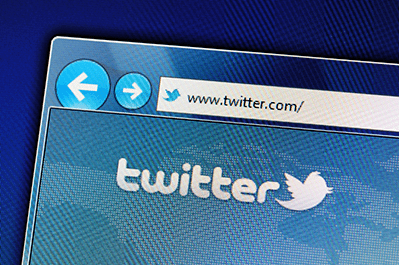 Twitter continues to grow in popularity for a number of reasons. The first is that it is incredibly easy to use. Messages take seconds to write, share, and read. We are a rushed society with little time to peruse long content. If something can be said and shared in just a few characters, we’re thrilled. So in addition to Twitter being easy to use, it’s also simple to share messages. One click of a “retweet” button and youíve spread the wealth. That means, as a business owner, if you’re able to provide a tweet with value and benefit, it stands a good chance of being shared. Each time it is shared by someone, you’re reaching a larger audience. One tweet can quickly be viewed by thousands of people. The website traffic possibilities are astounding. And Twitter’s latest gem is Periscope. Periscope is Twitter’s Live streaming app. Download the app to your phone and a whole host of content gurus are at your fingertips every moment of the day – live. You can make comments, ask questions and show appreciation for the presenter.